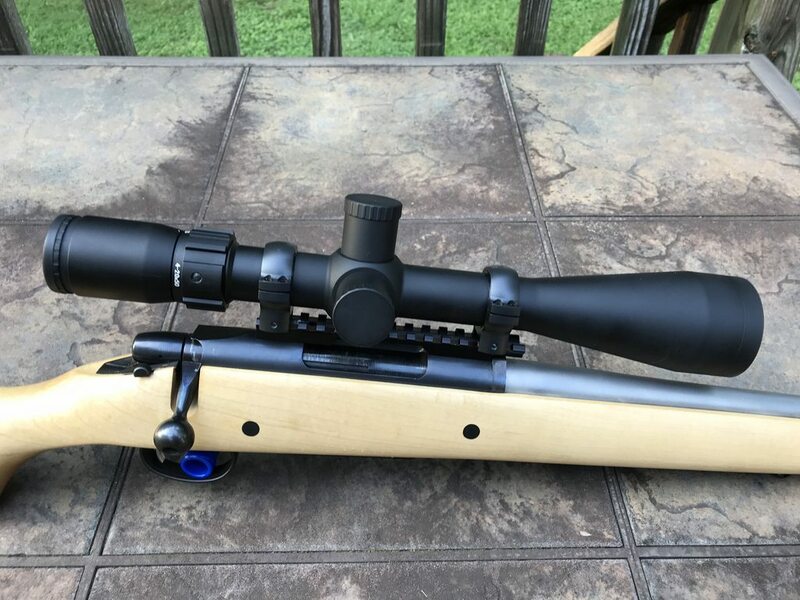 Two excellent rifles in a very capable caliber for what you intend to do....with the right twist barrel for heavy bullets, the .243 can be effective 1000+ yards. Both good brand choices. However, for extended static P.D. shooting, I think you would be better served with a heavier target/varmint profile barrel variant. Several reasons: the added physical weight makes the rifle easier to shoot. More stable from shooting platform/bags, less influenced by shooter inputs, including fatigue; also helping consistent trigger control. As you found out, even reduced power .243 loads heat up a sporter weight barrel very quickly, including the chamber throat, which .243 is known to be hard on. So, the heavier barrel gives you longer, more accurate strings of fire before having to let it cool down. And you experienced what heat can do in a sporter weight barrel...what starts as close to a .5 MOA capable rifle can end up close to a 1.5 MOA rifle after extended shooting. That alone is enough to cause a complete miss at shots past 300 yards, on a horizontal axis, even with a perfect sight picture. The extra barrel/rifle weight also helps with recoil. Admittedly, not a huge problem on a .243, but recoil effects are cumulative. What started as enjoyable/little noticed can lead to a noticeably sore shoulder and noticeable flinch at the end of the day. Also the increased weight helps you see your own hits/misses to a better degree. A typical sporter .243 rifle has just enough recoil to disturb your sight picture in my experience, unless using a muzzle brake. No doubt you can have a very enjoyable time shooting either of these rifles at P.D.s, but in my experience/opinion, you would have even more enjoyment with a more specialized tool for the job....heavier rifle with a thicker and heavier profile barrel. Enjoy either way, just my 2 cents. Thanks Steve. Agree with you completely. In hindsight, I think I rushed it a bit because I’m a big Tikka and CZ fan and I think I just had it in my head that I wanted these rifles. For extended shooting strings, a varmint profile rifle is much better and in fact all of the other guns we take on the trip are just that. In an odd twist, last week a friend who works at DSG told me about a closeout on a Savage 11-VT in .243. 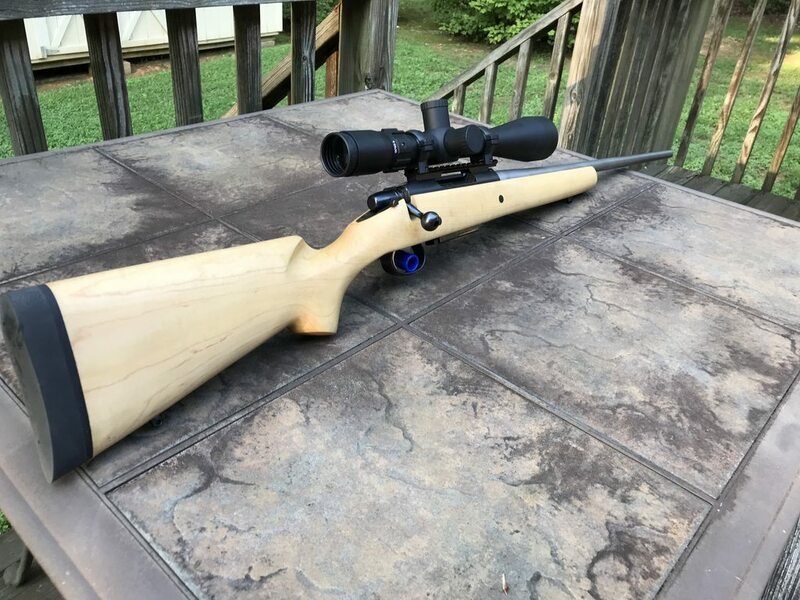 I have this rifle in .223 and it is very accurate and the .243 was like $275, so despite my own bias towards not buying from them, at that price, it was hard not to. From some very preliminary shooting, I think the $275 Savage is going to outshoot both the Tikka and the CZ. It has a 26” heavy profile barrel. This rifle will probably replace one of the others for the PD trip. I think your two 243 rifles are both good choices. It is too bad that the CZ doesn’t have CRF. Most manufacturers don’t build them that way because of cost more than anything else. Savage certainly gives a buyer a great value in a rifle. For the money they are hard to beat. I’m still using pre 1964 Winchester Model 70s in 243. There is no doubt that the sporter barrels won’t shoot as good when they heat up. Then again they were designed to be shot few times during hunting and carried a lot. Good luck with your rifles. I am a fan of .243 for their accuracy, wind resistance, trajectory, and extended capability, especially when using heavier bullets, over most common .224 caliber centerfire rounds. But the cartridge design with a relatively short neck / mild shoulder angle, generates a lot of throat wear; especially in high volume shooting in a PD town. You need to be disciplined enough to not overheat the barrel and allow proper cooling, or the throat can be ruined in as little as 1200 rounds, if abused, no matter how thick/heavy the barrel profile. That's why they are perfect for longer distance shots, and rotating with other rifles, just using them when the greater capability is needed. PS. 100% agree Savages are the best "bang for the buck" available and can be shockingly accurate, especially when "sorted" and used with precision reloads. Two very nice guns, HyFiveGuns! And a great write-up. I like the .243 also. One thing I've noticed is that it punches above its weight in felt recoil, at least with the guns I've fired the round through. Not that it's bad compared to something with real recoil, but it seems to me that the .243 has some snap to it considering how "small" a caliber it is. With middle-of-the-road ammo, my CZ 550 Varmint in .308 and a couple extra pounds of weight is noticeably milder to shoot with 168 grain rounds, felt recoil wise, than the 550 FS in .243 with 100 grain. 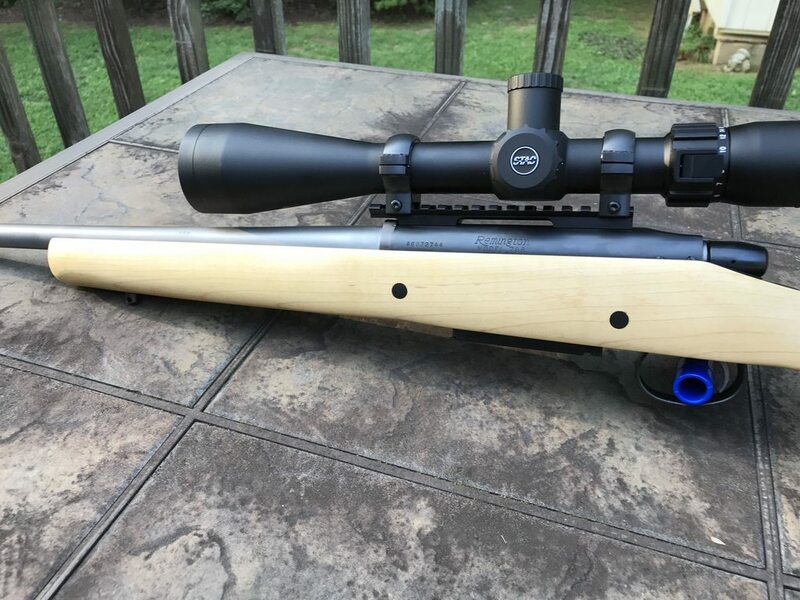 The other thing is that there isn't much target ammo for the .243, so it may require reloading if one is shooting for groups or more serious accuracy. This thread needs more .243 pitcherz! Last edited by I6turbo; 03-24-2019 at 08:29 PM. "So, I sacrificed a little cosmetically for function." Ah so - good call. Your explanation makes sense. Thanks for the reply. Turbo16 - beautiful FS model. Please stop as you are giving me evil thoughts !! 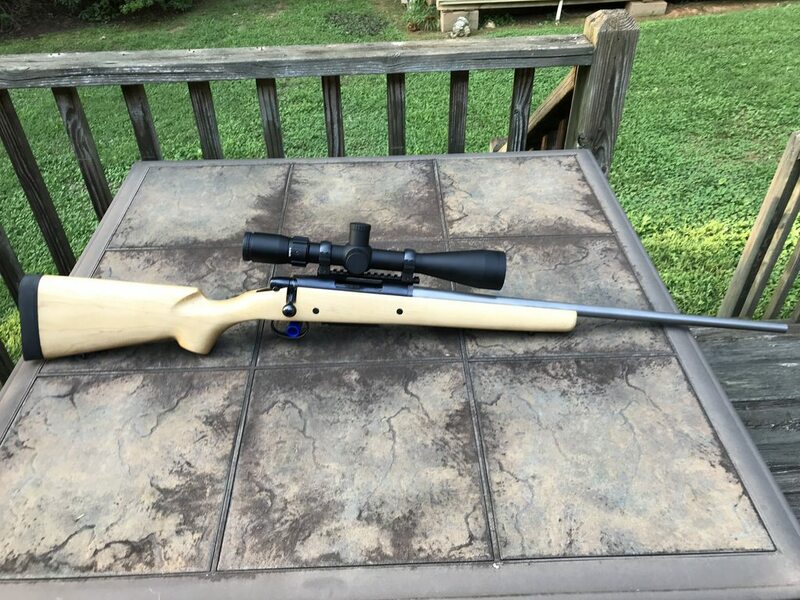 Sort of a "hot rodded" .243, actually started life as a 6mm Rem, but a wild hair and a gunsmith with a once used 6mm Creedmoor reamer led to a 24" Brux barrel custom contoured by Brux to match the factory barrel. Dropped into a Boyd Platinum Maple stock. It produced fist sized three shot groups at 800 yards a couple of weeks ago using factory Hornady Match 108 ELD's. Mostly a Lark but wow does it shoot, now were can I find a bean field full of Deer. Too light for serious target work but for our resident White Tails with appropriate bullets it should be a lot of fun. Please forgive the high jack, I'm a big fan of the .243 as well having a 1970's Rem 788 in .243 that has killed more Deer than all my other "Deer" rifles combined. Nice 788 Gerald. Great rifle w efficient design. Remmy makes nothing close in quality today imo. I have my dad’s 788 in .22-250. Truck gun...nothing to look at but darn accurate. Looking for a 788 in .222 now. Nice rifles Hyfive; It appears the tikka has a long action and CZ looks shorter. If so, how much too long is tikka? Perhaps a 30 06 action? Per your request, here's a pic of the Savage that I mentioned in an earlier post. It's nothing to look at, but man is it a shooter... Going to test it some more later in the week and bake it off against the Tikka and CZ so I can shoot all three with the same ammo and under the same conditions. I looked it up and Tikka uses a long action for midsize calibers along with a bolt stop. It also looks like the cz is checkered while tikka is stippled. That looks cheesy to me. I guess that makes Tikkas less desirable to me. Thanks for the post. I'm learning. Last edited by thesandman; 03-26-2019 at 10:11 AM. The Tikka is checkered; it just didn't photograph as well.